Toys Ready To Drive An All-Electric Maserati? Ready To Drive An All-Electric Maserati? Sergio Marchionne, CEO of Fiat Chrysler Automobiles (FCA), has announced that a fully electric Maserati will be ready in 2020. While the full schedule for vehicle releases is as yet unknown, Maserati has already confirmed the release of a first fully electric model in 2020. 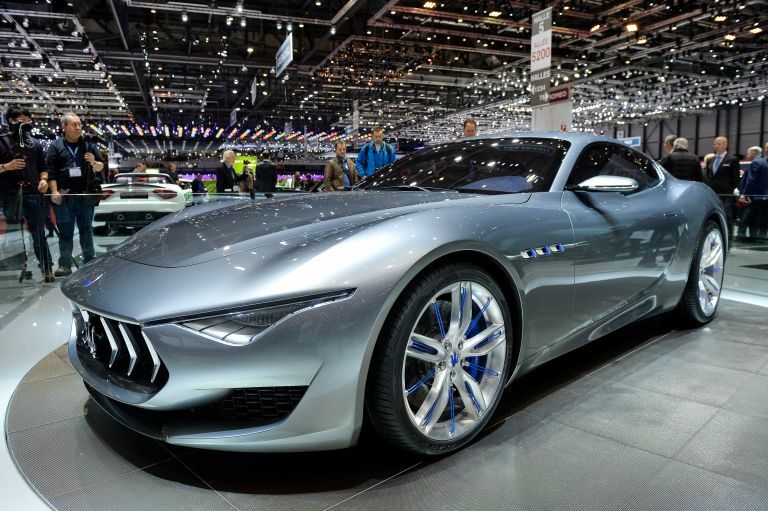 This will be an electric version of its upcoming GT Alfieri, in turn based on the concept car of the same name unveiled at the Geneva Motor Show in 2014, paying homage to the founder of the famous brand, Alfieri Maserati. A first version equipped with a V6 engine will be released in 2019, with a two-seater electric model following a year later. Maserati could even join the Formula E Championship, which sees single-seater all-electric vehicles race in urban settings. After Renault, on board since the first edition in 2014, then the arrival of Mercedes and Porsche, Maserati could be the next prestigious car maker to show an interest in electric vehicle racing. Maserati was founded in Bologna, Italy on December 1, 1914. The firm was headed by Alfieri Maserati, supported by two of his brothers, Ettore and Ernesto. However, the company only produced its first car in 1926, the Tipo 26. Maserati then found fame on the world's race courses, winning various Grand Prix, as well as the Targa Florio and the Indianapolis 500. By 2022, more than half of the vehicles produced under brands in the Fiat Chrysler Automobiles group will be hybrid or electric. This strategy is reminiscent of the recent announcement from Swedish car brand Volvo, owned by Chinese automobile group Geely, which said earlier this summer that all of its models would be electric from 2019.